USA 1910 takes you on a new adventure across North America in this expansion to the original Ticket to Ride game that includes three new ways to play: 1910, Big Cities & Mega Game. 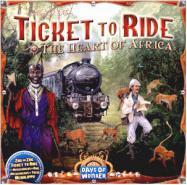 Set in the vast wilderness of Africa at the height of its exploration by intrepid explorers, missionaries and adventurers. 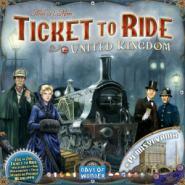 Ticket to Ride, Ticket to Ride: Europe or Ticket to Ride marklin is required to use the maps in this expansion. Place the first rails of the glorious train adventure that all started in the United Kingdom of Great Britain and Ireland in the 19th century. Also includes the Pennsylvania map - in a state full of railroad history, invest in the most profitable companies to develop your rail network.